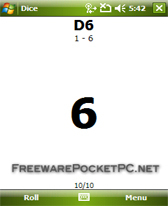 dice freeware downloads for Windows Mobile Phone. 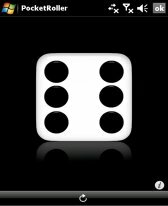 ThtripYzee is is a clone of the popular dice game "Yahtzee." Here is a small OpenGL based program that allows you to use . 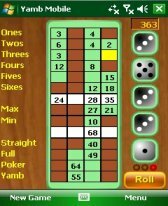 This game is for 2 to 4 players (humans & computer). .
Summary: Replace dice-game dice with your windows mobile. Summary: A fun fast way to roll a die! 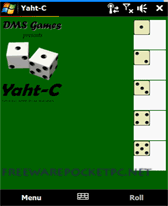 Summary: ThtripYzee is is a clone of the popular dice game "Yahtzee." This will play single and triple versions. It also plays one or two player. 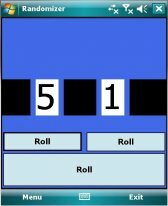 Summary: Yamb mobile is popular dice game (yahtzee like) for devices with Windows Mobile 5.0 or higher. Summary: Whenever there is need to toss a dice this program may come handy. Ideal for D&D seanses or just for another Jamb game. Summary: D&D Treasure and Experience Roller. Rolls out the various amounts of loot and EXP based on monster Challenge Rating.